Google has improved security but ensuring your connection from your Android device all the way to the browser on your computer is secured using normal HTTPS connections. Specifically, Google has added TLS/SSL to their chrome.sockets API. You may be wondering if all Chrome extensions are secure or not, and for the most part, I think you will find that they are. 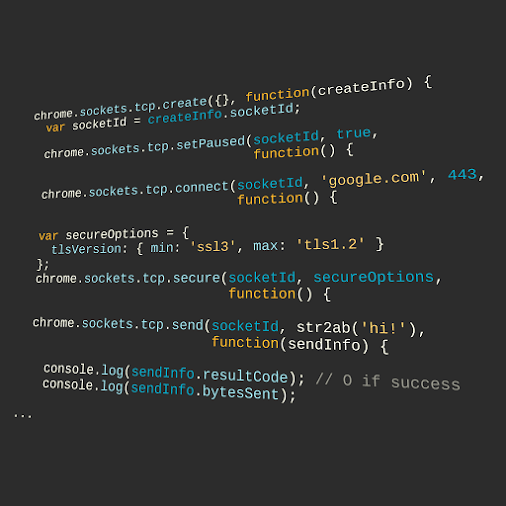 Standard websockets have been in play for years, and they are fully SSL compliant. This news simply provides developers an alternative, Google-built for Google-products, tool to secure Chrome extensions. Head on over to my Android Authority discussion of this topic if you'd like a bit more details, or to see how developers might use this new tool. In my article, I use the app, Chrome extension and killer service Pushbullet to explain how it all works. 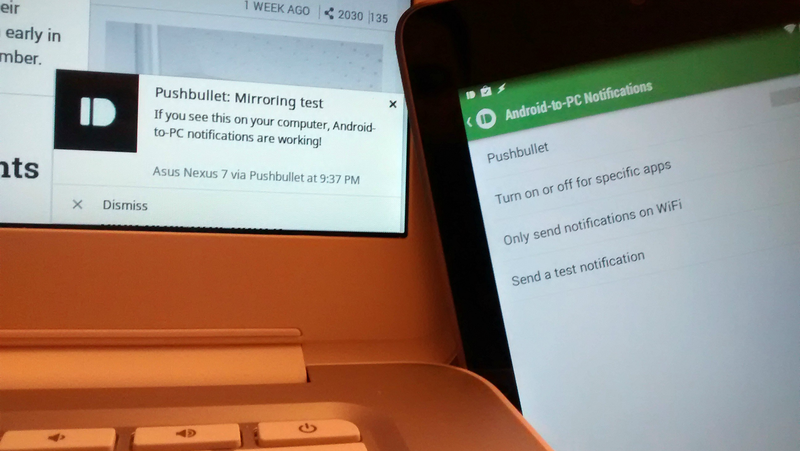 Pushbullet is a great service that, if nothing else, allows you to view notifications from your Android device right on your computer screen. In the next evolution of Pushbullet usage, you can push files, messages, web links and more back and forth between not only all of your devices, but the devices of your friends that have granted you access to do so. But wait, there's more! Pushbullet can tie into other apps and services, primary of which, for me, is Tasker. Oh, there's that Tasker again. Pushbullet is established as a Plugin to Tasker allowing you to perform Tasks on your device by pushing things to it, or have your Android device push things to your other machines based on actions that happen that Tasker captures and acts upon. One more thing, Pushbullet has a public API for developing your own websites and extensions, I have a secret project in mind, it'll take me some time, but stay tuned to see how it goes. Back on track, Google has secured Chrome extensions, is that a big deal for you?